The 2017 Chrysler 200 is causing a flurry since its launch. This mid-size sedan is gorgeous and sleek, and comes in a line-up of five cars, all featuring different options to drivers. The sedan is competing with all the automobile giants of its class including Accord, Toyota, Chevrolet Malibu, Honda, Camry, and Ford Fusion. 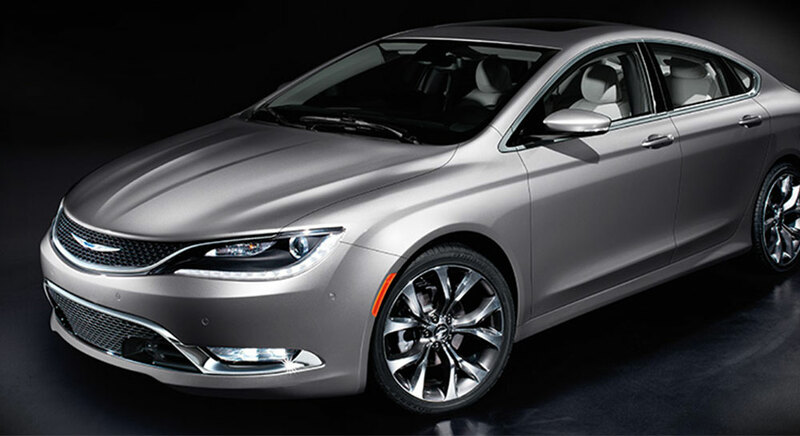 The styling and additional safety features in the 2017 Chrysler 200 are the winners in the car. Its exceptional curves and sleek frame is what grabbed the attention of millions around the world. The 2017 Chrysler 200 has a starting price of $24,000 (MSRP). 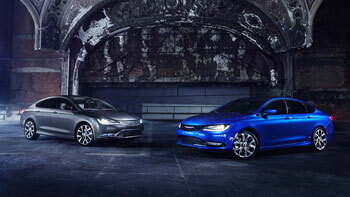 Because there are five other cars in its line-up, each one of them have a different price tag including the 2017 Chrysler 200C that is priced at $38,000. The 2017 Chrysler 200 is a car that offers some of the greatest safety features to its drivers. This sedan is ideal for families looking for cars that offer luxury and supreme comfort and safety. 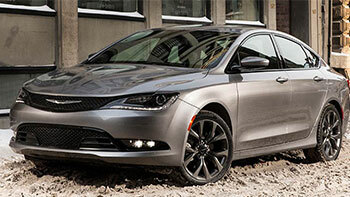 Engines: The standard engine is the 2017 Chrysler 200 is the 2.4 liter 4-cylinder engine. However, the 3.6 liter Pentastar V6 engine offering 296 hp is much more powerful and offers a greater level of performance than the standard version. But with the high performance V6 engine, you do not get great fuel economy. The V6 engine with manual has an EPA rating of 23 mpg city and 36 highway. In this engine, you can either choose manual transmission or automatic transmission. With the V6 automatic transmission, you get 23 mpg city and highway rating, but if you choose all wheel drive, the EPA rating falls to 22 mpg. In the standard engine, you get 184 horsepower at 6,250 rpm with 173 lb-ft of torque and in the 3.6 liter V6 engine, you get 295 horsepower at 6,350 rpm with 262 lb-ft of torque. Transmission: Both the standard version and the V6 engine consist of the 9-speed automatic transmission that gets activated when the car is in Sport mode. The steering of this sedan is heavy yet easy to handle. The suspension of the 200S from its line-up is sport-tuned and much more aggressive. Efficiency: Both the engines of the 2017 Chrysler 200 come very close in terms of fuel efficiency. The standard 2.4 liter inline-4 engine offers EPA city/highway fuel economy of 23/36 mpg whereas the 3.6 liter V6 engine offers EPA city/highway fuel economy of 19.31 mpg on four wheel drive. However, if you choose an all wheel drive, the EPA rating drops to 18/28 mpg. The standard engine is much more fuel efficient than the V6 version. The 2017 Chrysler 200 is a classy car with some new features. 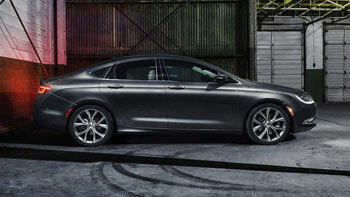 However, the two most highlighted and loved features of this sedan are its all-wheel drive and its mesmerizing interior. When we talk about the interior of this luxury sedan, we are talking posh fittings and premium trimmings. This family sedan is made with care to pamper the passengers. The cabin of this car is highly detailed and has some impressive trimmings including the use of wood that makes everything look much more elegant and classy. 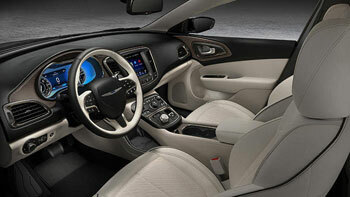 The use of leather and subtle lighting in the cabin are also the most notable features. The second best feature of the 2017 Chrysler 200 is its all wheel drive. Although the fuel economy suffers with this feature, it is worth a shot. What makes this feature impressive is that when you aren’t using the rear axle, it disconnects electronically, offering better fuel economy. There are many more features lined up in this family sedan including standard ones and optional ones. Some of the best standard equipments in the car include the multi-stage airbags, a USB port, rearview camera, Uconnect infotainment system, an electronic parking brake, cruise control, keyless entry and start, and the power windows and door locks. You can also add many more features to your sedan including the SafetyTec package that costs an additional $1,300. However, investing in this feature is a wide choice to make as it gives you access to advanced brake assist, full speed forward collision warning plus, rain-sensing windshield wipers, blind spot monitoring, adaptive cruise control, and park assist. 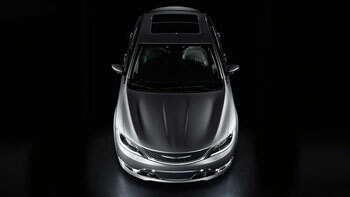 As mentioned earlier, the 2017 Chrysler 200 is a car with a chic interior that offers supreme comfort to the passenger. This family sedan is quite refined in terms of the interior features, trimmings, and fittings. The seats inside the cabin are power-adjustable, which means they can be adjusted according to the passengers’ will. Furthermore, the luxurious leather fittings inside the cabin make it a comfortable car to ride. However, the space and the headroom for the rear seat are a bit smaller as compared to other 200 models. The 2017 Chrysler 200 is without a doubt a sleek sedan that lives up to its audience’s expectations from its exterior look. The 4-door family sedan is stylish, modern, and yet has a classy appeal to it. 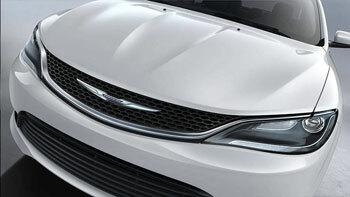 The Chrysler badge is placed in the grille and gets enhanced when the projector beam headlights are turned on. The 2017 Chrysler 200 is a superb family-sedan offering outstanding luxury in the form of its interior and the great drive including 4WD and AWD features. Furthermore, from the safety perspective, this car seems like a perfect fit for families looking for maximum protection on the road. All in all, this car is incredible and if you want to test-drive it, come visit Derrick Dodge Dealership in Edmonton today to get a real feel of how this luxury sedan performs. When you’re ready to take a tour and test drive, head to our dealership located at 6211 104 Street NW in Edmonton, AB. We are less than a half hour from St. Albert and Sherwood Park. Look for us just south of the Home Depot and Staple locations, and feel free to contact us with any questions.